The wild journey towards creating actionable content. 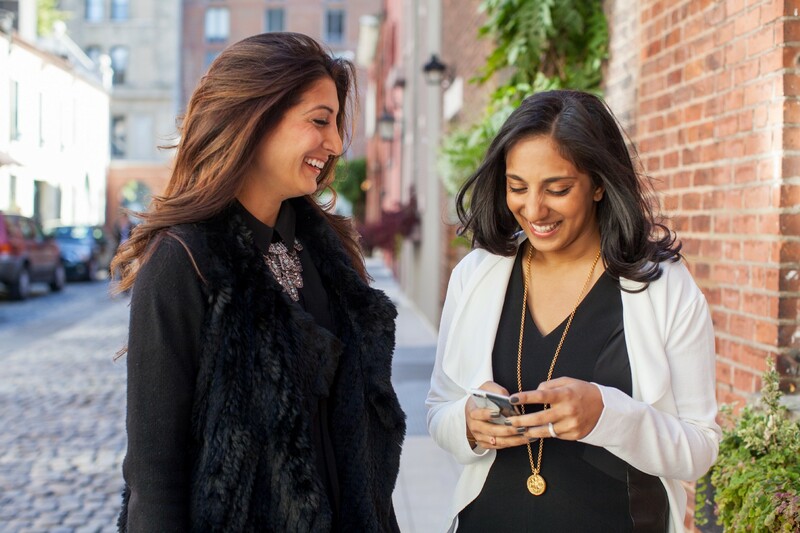 Co-Founders Samira (left) and Hitha (right.) Anil Gondi not pictured. When is the last time you read something that caused you to react? Did you have an instinctive reaction to protect the rights of those more vulnerable than yourself when the first Executive Order was announced? Perhaps you cried when you heard about Srinivas Kuchibhotla being gun downed in Kansas in an act of terror? Or maybe you felt scared hearing about North Korea’s latest ballistic launch of missiles? Whatever the reason the reaction was the same: to DO something. An instinctive response, driven by an obvious need. So obvious, in fact, that I was shocked that no one was already providing such a service. Sure, there are amazing organizations like Ryot.org or the Global Poverty Project which help you take actions when you are on their apps, but what about everyone else? Shouldn’t The New York Times have actionable content? Huffington Post? The Skimm? Well in the Spring of 2014, they didn’t, so my amazing co-founders and I felt it was our moral directive to create a solution for the apparent gap between information and action. In April of 2014, at the height of the refugee crisis, I remember reading a NY Times article and feeling incredibly depleted. Drowned refugees, orphaned children, entire cities demolished to rubble. Every day it was the same — more harrowing news content and no advice on how one could help to resolve these horrific events. I was tired of feeling like a passive participant in the news cycle, and craved something very evident; to take action the moment I felt compelled. That was the inception of Bridge2Act. Bridge2Act is a transformational platform that enables you to give the moment you feel compelled. The idea literally came to me while I was in Miami at Breakout — three days unplugged with some of the most remarkable people I have ever had the privilege to be around. During the course of that weekend, I worked up the concept for Bridge2Act, and in a Rose’ infused day about one month later, I convinced two dear friends of mine, Anil Gondi & Hitha Palepu, that there was merit to build a platform that could act as a tool for people to take action and benefit relevant, reliable nonprofits in the process. In the fall of 2014, we put pen to paper, detailing our business plan, voice guide, and brand identity. Fueled by the prospect of being able to make the lives of those less fortunate better, we worked feverishly to get the site up and running, commissioning brand experts and PR experts, tech builders, a legal team, and a killer copy writer to help us perfect our pitch. During that time, I watched as my three passions of philanthropy, tech, and media, fused together creating something I have never been more proud to lead. But it wasn’t always amazing. In fact, there were days where I literally questioned what I was doing. Pile on lots of denials, bugs in the platform, lack of funds, and finding time to do it all as a side hustle. Woof. Starting a company is hard, and starting one where you need to get hundreds of charities and major publishers all rowing in the same direction, is even harder. Which brings me to another important point: don’t win or lose alone — make sure you have someone there every day that has your back as you need to celebrate the highs and brave the lows together. Hitha quickly became my “work wife” as we shared the insane responsibilities and pace of operating the business. In November of 2015 that platform was finally ready! We launched Bridge2Act publicly on the one-year anniversary of our company’s incorporation at none other than, Bathtub Gin, a speak-easy in Chelsea. Then we started running hard, going after every publisher we knew, and approached hundreds of reputable charities to join the platform as well. As the year wound down, we had over 70 nonprofits on-board and several major bloggers and influencers began to use the platform. To date, Bridge2Act has raised tens of thousands of dollars for nonprofits and while we don’t know what the next chapter of Bridge2Act holds, we are comforted in knowing that we accomplished to set out to do: make content actionable. Want more Flow? Pay it Forward Will do the Trick.